The process of raising a child to encourage each individual to reach his or her potential is not without its difficulties. When we add in the complexities of a child with a developmental disorder where the developmental trajectory is not as we might expect and when we do not know the additional concerns that might emerge, the picture for parents is less certain and more worrisome. 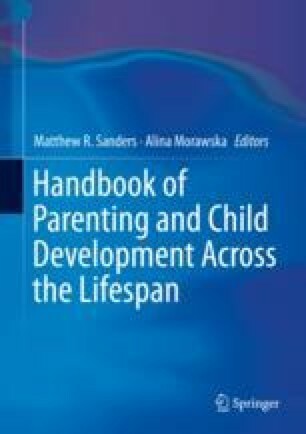 There is no doubt that parenting plays a very significant role in the outcomes for children as they mature, and there is a strong literature to support this for typically developing children. There is also an emerging literature to show that participating in a parenting program can have a significant and positive effect on child behavior and on the social communication skills of children with developmental disabilities, and that this is sustained over the long term. The additional burdens and challenges that come with raising a child with developmental disabilities also increase the likelihood that parents themselves will experience mental health issues, such as higher levels of stress and increased risk of depression. Parents often experience grief and loss issues both at the time of diagnosis and as the child grows and fails to meet developmental milestones. It is often helpful for parents to seek help for themselves to assist with these experiences so that they have the resources necessary to provide optimal parenting for their child. Parents of children with developmental disabilities clearly benefit from participating in parenting programs but might not see it as a priority, or believe that individual intervention for the child is more important. A public health approach would facilitate access to evidence-based parenting programs that could be readily accessed by every family. The Parenting and Family Support Centre is partly funded by royalties stemming from published resources of the Triple P—Positive Parenting Program, which is developed and owned by the University of Queensland (UQ). Royalties are also distributed to the Faculty of Health and Behavioural Sciences at UQ and contributory authors of published Triple P resources. Triple P International (TPI) Pty Ltd. is a private company licensed by UniQuest Pty Ltd. on behalf of UQ, to publish and disseminate Triple P worldwide. The authors of this chapter have no share or ownership of TPI. Dr. Sofronoff and Dr. Whittingham are employees at UQ.